First Chapter Tuesday is hosted every Tuesday by Vicki @ I'd Rather Be at the Beach. This is meme in which bloggers share the first chapter of a book that they are currently reading or thinking about reading soon. Join the fun by making your own post and linking up over at Vicki's blog, or simply check it out to find more new books to read! I always have endless books that I want to read, as most book lovers tend to have, but right now I feel like I have so many books that I want/need to read right now and it's a bit overwhelming. Thus, today First Chapter First Paragraph is a double feature, starring Circe by Madeline Miller and The Heart of Stone by Ben Galley. 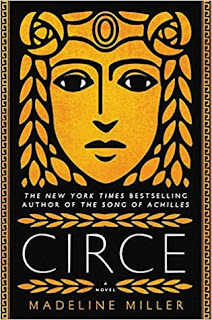 An ARC of Circe arrived up the other day and I'm beyond thrilled about it--as a Classics grad, I feel like Circe is a figure that is often overlooked outside of the Odyssey-related content. 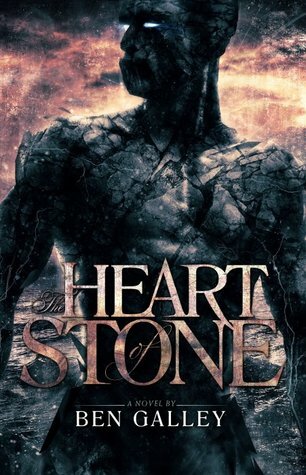 I also won a copy of The Heart of Stone a couple months ago and I (embarrassingly) haven't gotten to it yet! I plan to pick it up as soon as possible because it sounds great and I've seen a lot of great things about it! Below is an excerpt from beginning of each--enjoy! When I was born, the name for what I was did not exist. They called me nymph, assuming I would be like my mother and aunts and thousand cousins. Least of the lesser goddesses, our powers were so modest they could scarcely ensure our eternities. We spoke to fish and nurtured flowers, coaxed drops from the clouds or salt from the waves. That word, nymph, paced out the length and breadth of our futures. In our language, it means not just goddess, but bride. My mother was one of them, a naiad, guardian of fountains and streams. She caught my father’s eye when he came to visit the halls of her own father, Oceanos. Helios and Oceanos were often at each other’s tables in those days. They were cousins, and equal in age, though they did not look it. My father glowed bright as just-forged bronze, while Oceanos had been born with rheumy eyes and a white beard to his lap. Yet they were both Titans, and preferred each other’s company to those new-squeaking gods upon Olympus who had not seen the making of the world." "What is man, if not a shel for te Architct’s imaginaton? The day that gripped the Irkmire Yawn was a foul one. The strip of sea was strangled with eager winds, the air choked with icy drizzle, and the waters boiled to a spray. The only mercy the Yawn could offer the valiant men of the glorified barge was its size. The gap between Irkmire and the soaring cliffs of Hartlund was barely eight leagues at its skinniest point. The journey might have been a detestable wash of rain and saltwater, but it was a brief and relatively steady one. The Bilgesnapper was a stout craft. Its squat shape and mean, flat prow bludgeoned the waters aside, bothered not a penny by the swell." *Excerpts are taken from the novel itself; I do not claim to own any part of the excerpt. Neither book is a genre I read, but I actually liked both intros. I'd keep reading. Not my genres either but I enjoyed reading the intros.